The assignment for the week was to create a flashlight. The interpretation of the flashlight was open ended so I decided that for me a flashlight must be something portable and used light in some way. School has been pretty hectic lately and in the first half of the semester I haven’t made anything that I was particularly proud of. So for the second half I am working on making things that I enjoy making and want to be proud of. During my mid-term PhysComp project I used a 2-way mirror and I was intrigued by the material so I wanted to explore it further. 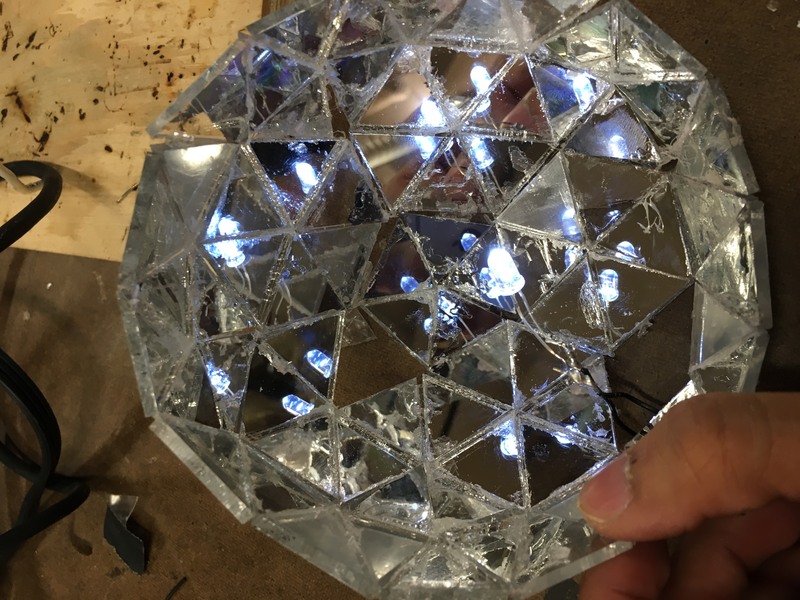 I decided that making a geodesic dome infinity mirror would be “cool”. I originally was inspired by infinity mirrors. Basically when you have parallel mirrors they “create a series of smaller and smaller reflections that appear to infinity.” The material of one-way mirrors allow for light to bounce off and and reflect onto the mirrors but the properties of the one-way mirror allow one to see through. Basically the brightest light reflects and the darker area is see-through. Infinity mirrors are pushed as a medium by artists like Yayoi Kusama who creates room scale environments called infinity rooms. 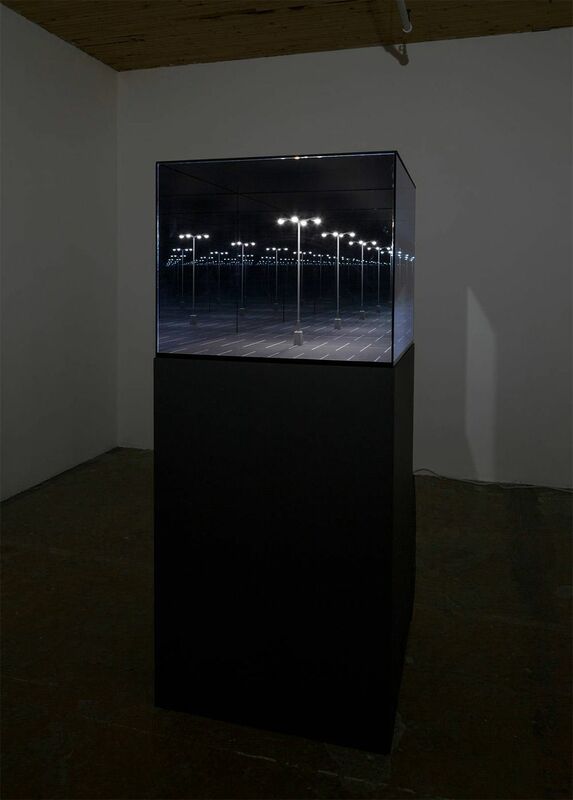 But while researching infinity mirrors I was particularly moved by projects like Guillaume Lachapelles mirrored dioramas. He uses infinity mirrors to create unique landscapes. 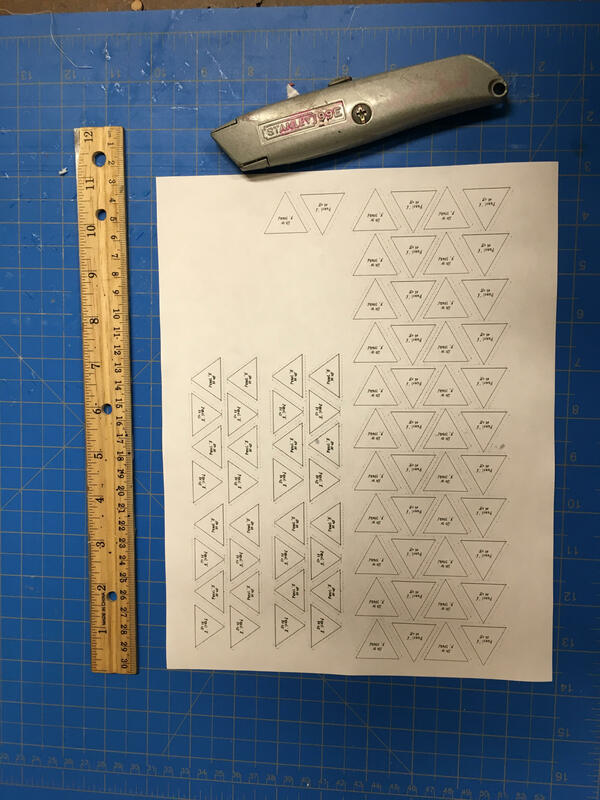 While thinking about infinity mirrors, I was curious of what would happen if you created different shapes than the traditional infinity mirror projects. What if I made a tetrahedron? Or what if I made as many surfaces as I could? To answer this question I thought about geodesic domes. Geodesic domes are structures based on a geodesic polyhedron. I remember them from my old co-op as very hippy and transcendent structures. Buckminster Fuller popularized them in the 1970s as a diy living structures for the future. Very cool. 😎. I knew that this would be my flashlight project. Of course every project starts off with a google search. Since I know little about math or architecture I searched how to make a geodesic dome. This returned with hundreds of results. 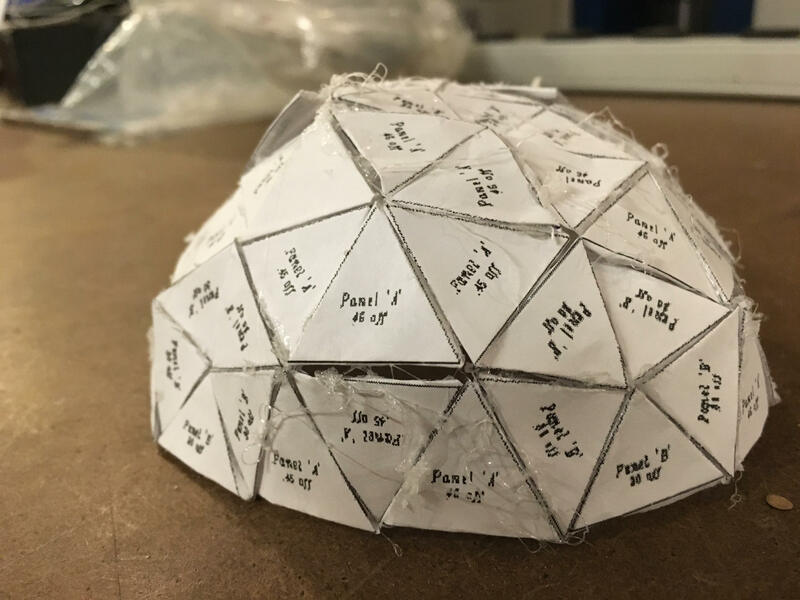 I found this nifty website that instructs you how to build a geodesic dome out of paper. They even provide a template for you to print out and cut. 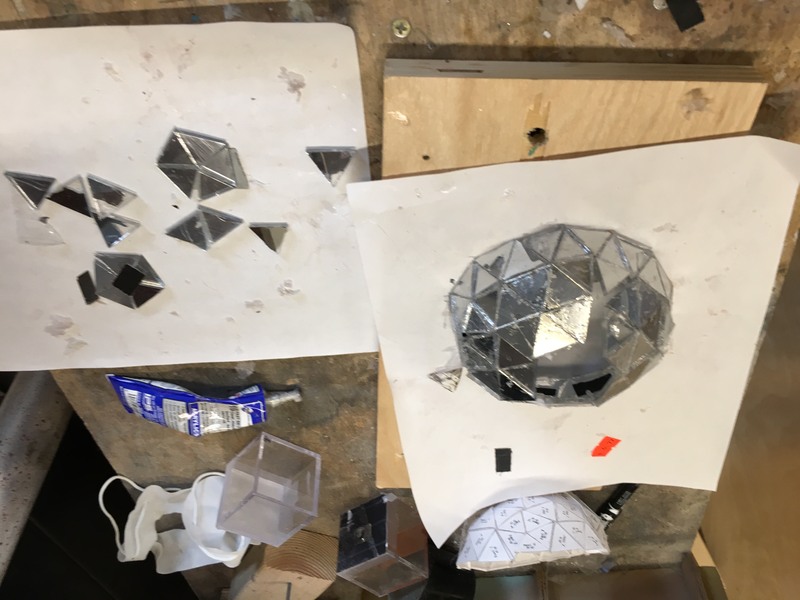 Because I wanted to make a miniature scale dome, one that is portable to constitute a flashlight, I used the template to create my own scaled down version where all the of pieces fit on a single sheet of paper. This also serves to reduce the amount of material I would later need. 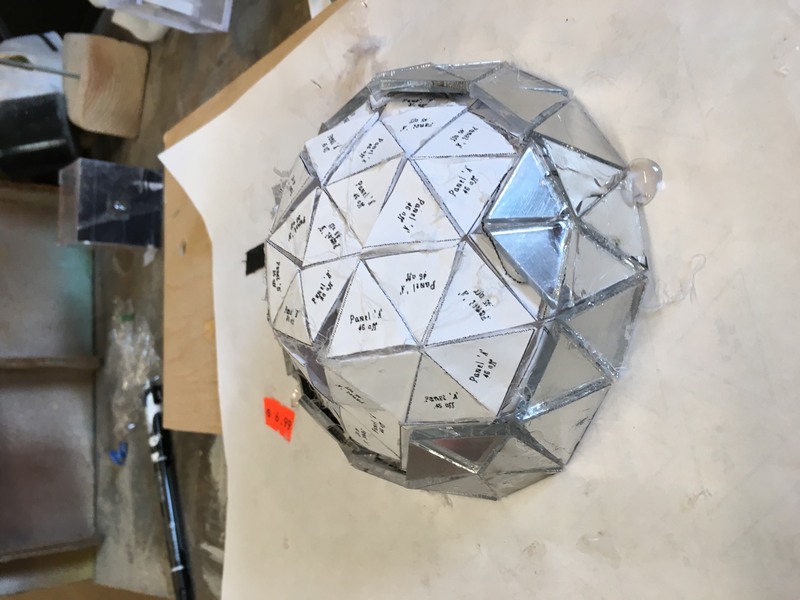 I also decided that making a paper version would be the best way to prototype if making a dome was even feasible given my lack of mathematical or structural knowledge. After a kind of successful prototype I was ready to see it through with the mirror. I purchased a 2 way mirror acrylic sheet and used a laser cutter to cut out my template. 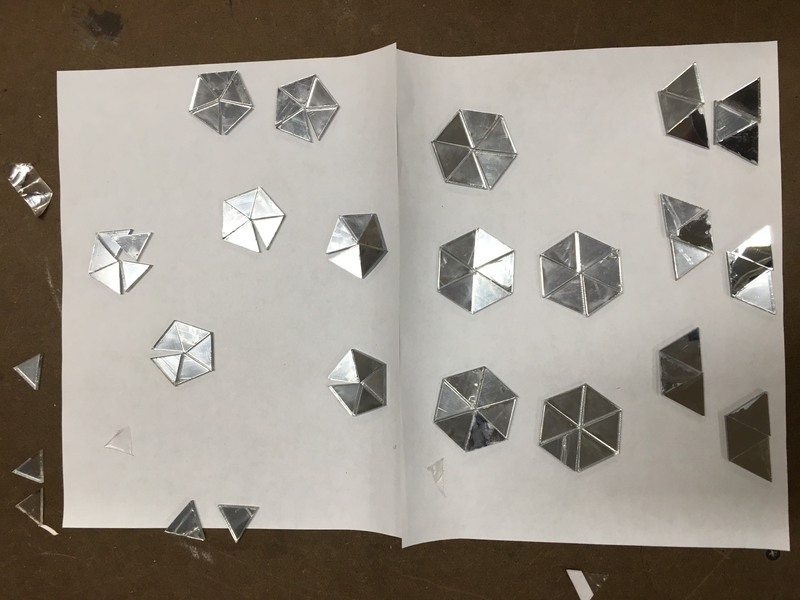 I talked to some of my classmates about my worries of assembling the small pieces. The hotglue was disastrous the night before. 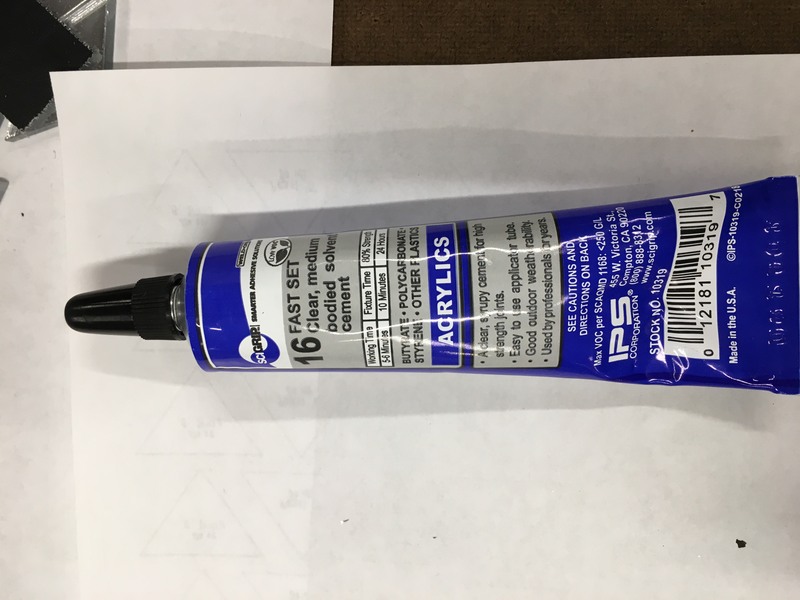 They gave me the hot tip about acrylic cement so I got some of that to bond the acrylic. For the gluing process I used the paper template as a guide for when I was placing the acrylic. Little by little I got it done though. Next I wired up a simple switch for my led which would make my infinity geodesic dome mirror a flashlight. I added the light and got a really cool effect. To complete an infinity mirror you have to be sure to include a mirror bottom to reflect the light. Despite some errors from when I was gluing which left gaps in between some panels, I was happy with my result. Halfway through gluing I was worried that I would not be able to pull it off at all. From this project I learned that I’m more of a sculptor than an architect. Back in artschool I worked mostly in assemblage and material experiments and I was always able to blame poor craftsmanship as an aesthetic choice. While it is… in a more design project I think craftsmanship is important and very hard. However I learned some strong lessons for the next time I make this project. First, I would make the prototype with stiffer material. Especially since I ended up using it to guide my placement while I bonded the acrylic. More importantly I realized that it would have been much easier to create the structure first then add the acrylic panels. That way it more precise. Overall, I am happy with how it came out.